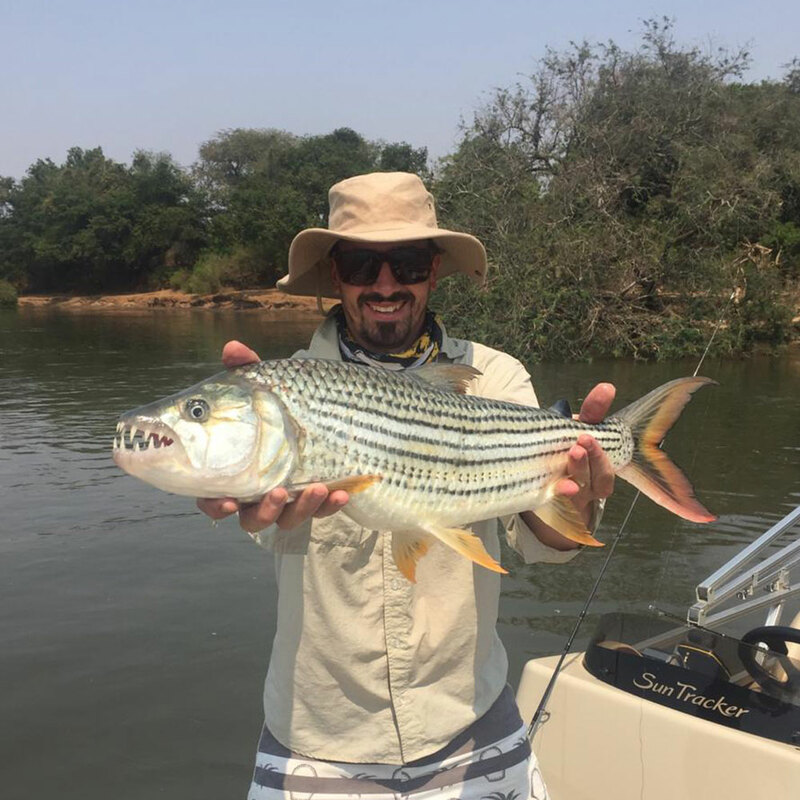 The mighty Zambezi River is home to some of Africa’s biggest and toughest Tiger Fish, with catches of up to 16kg not uncommon. 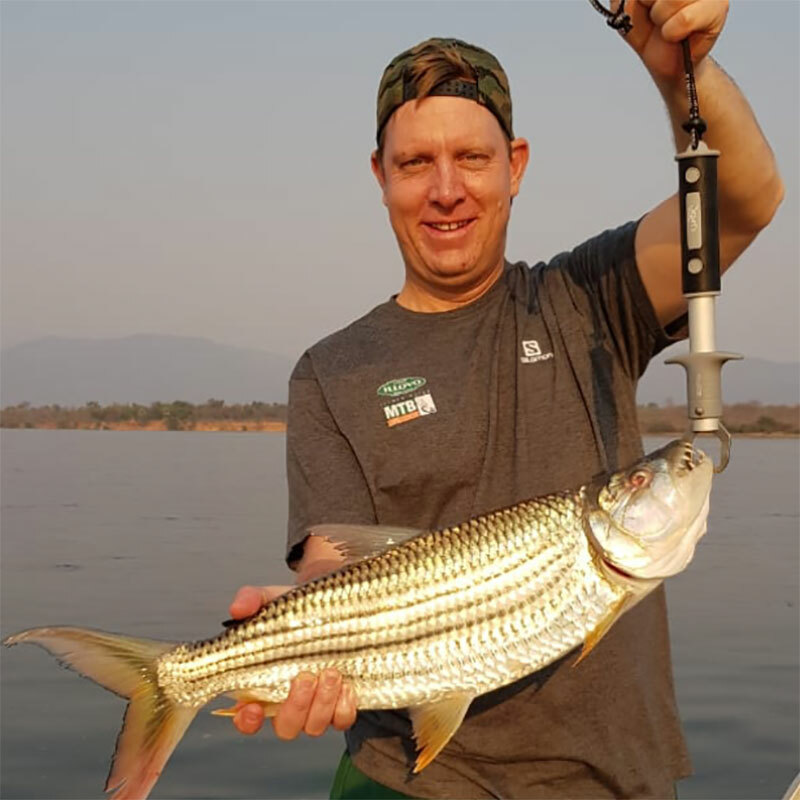 The Zambezi Grande Fishing Co. now gives you the chance to land one of the world’s most prized sport angling fishes! 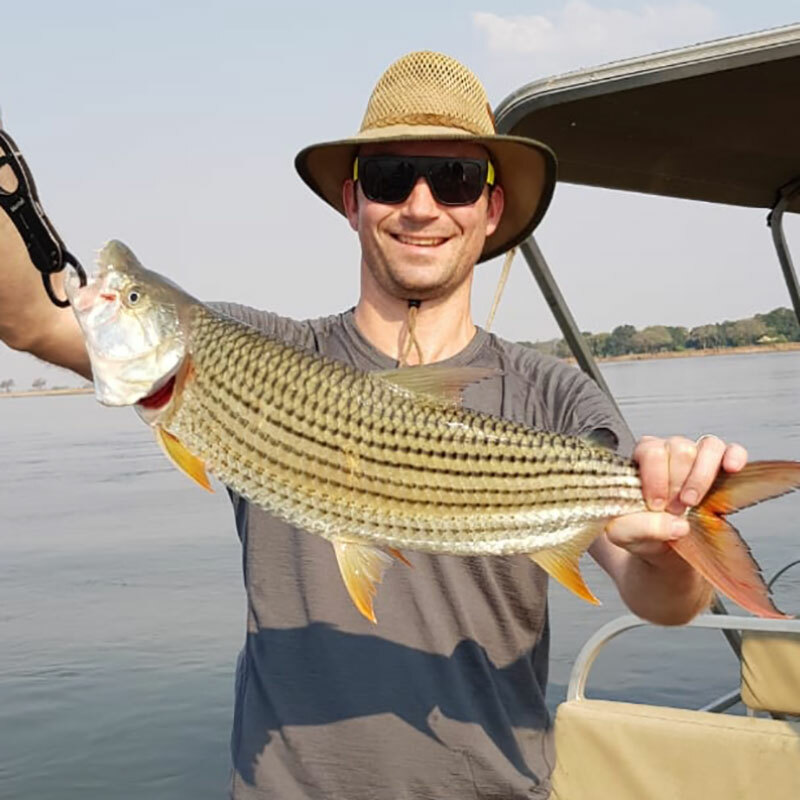 Prized species such as Tiger Fish and Vundu make the Lower Zambezi any sport angler’s dream destination! All fishing is done off 18ft aluminium boats, which are fitted with 75 – 150hp motors. Each boat carries two anglers and a professional guide. There is ample storage and seating areas for three people. Boats are equipped with two-way radios and first aid equipment. 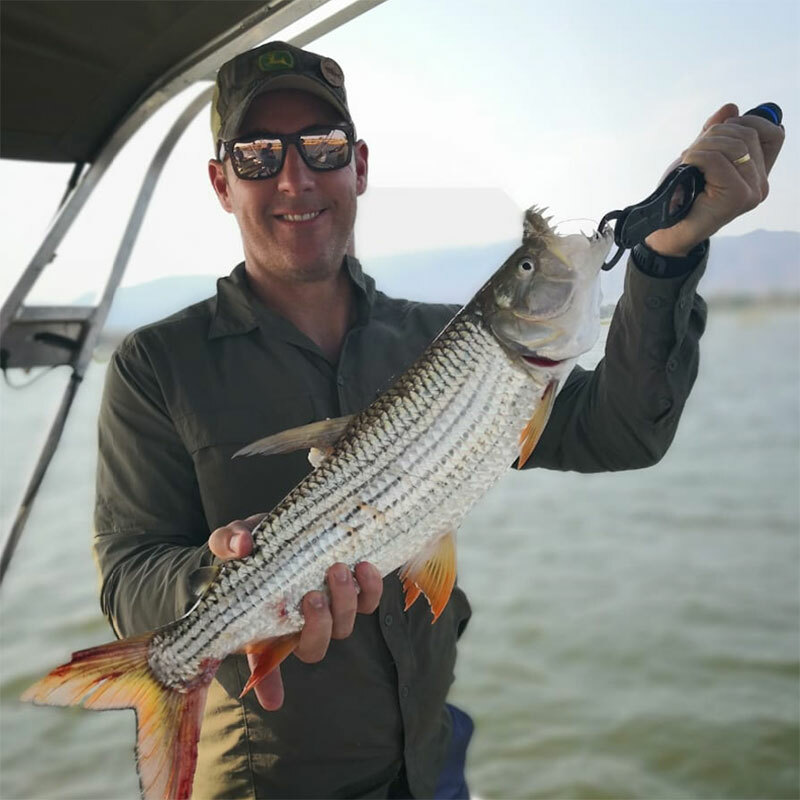 Your professional guides have all spent extensive time guiding on these rivers, so you can be assured that they know these waters intimately and will ensure you have a safe and enjoyable fishing experience. 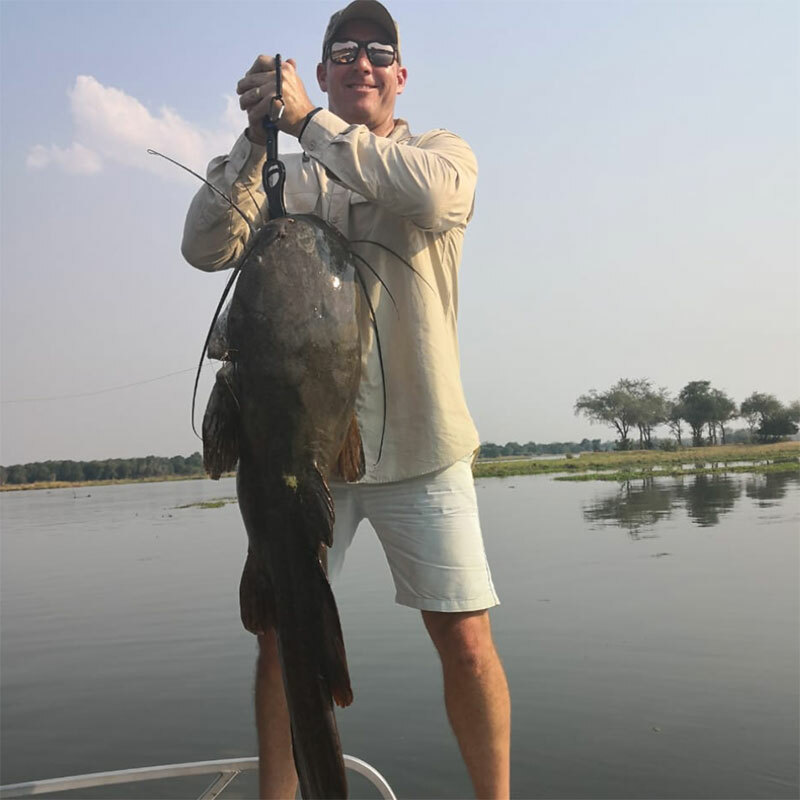 Whilst we can provide gear and tackle, we recommend that avid fishers bring their own equipment. 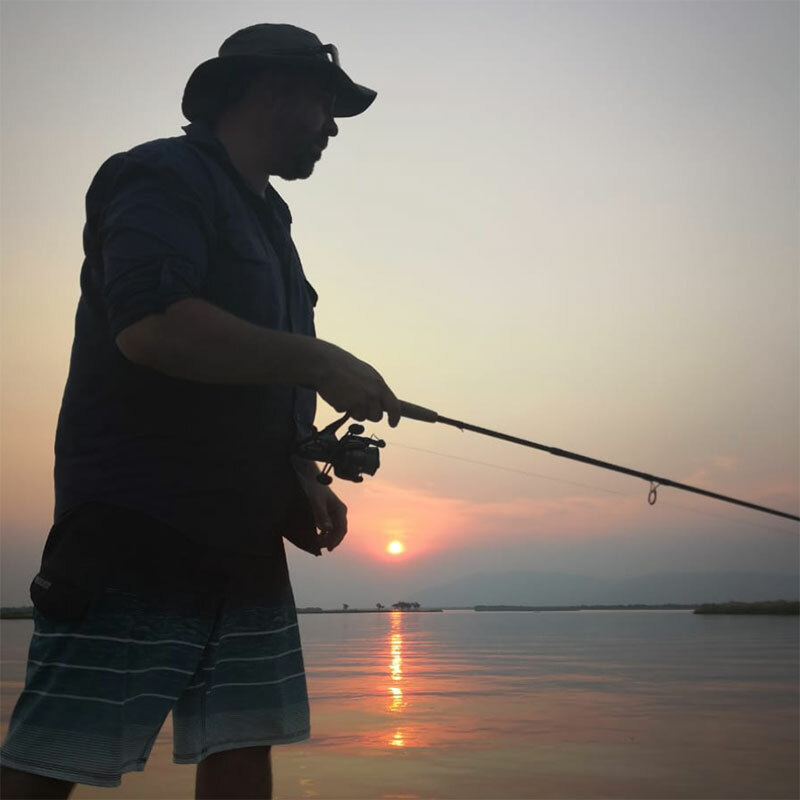 The best time of year for fishing is as the waters start to warm up from the end of August through to November. 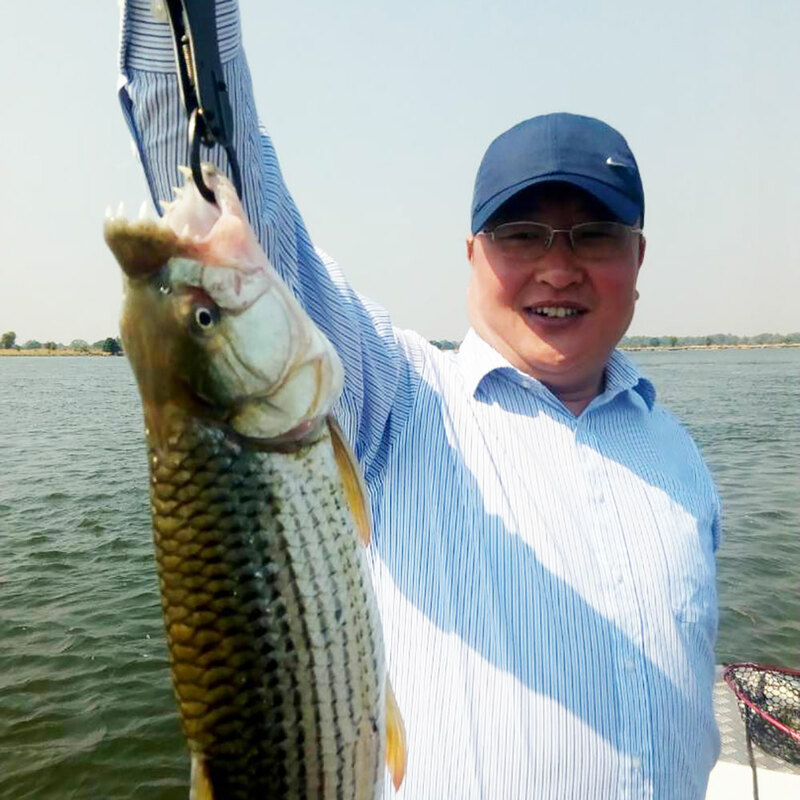 Great fishing is also experienced during the winter months, depending on tactics and method. Please note, a strict catch-and-release policy is enforced. 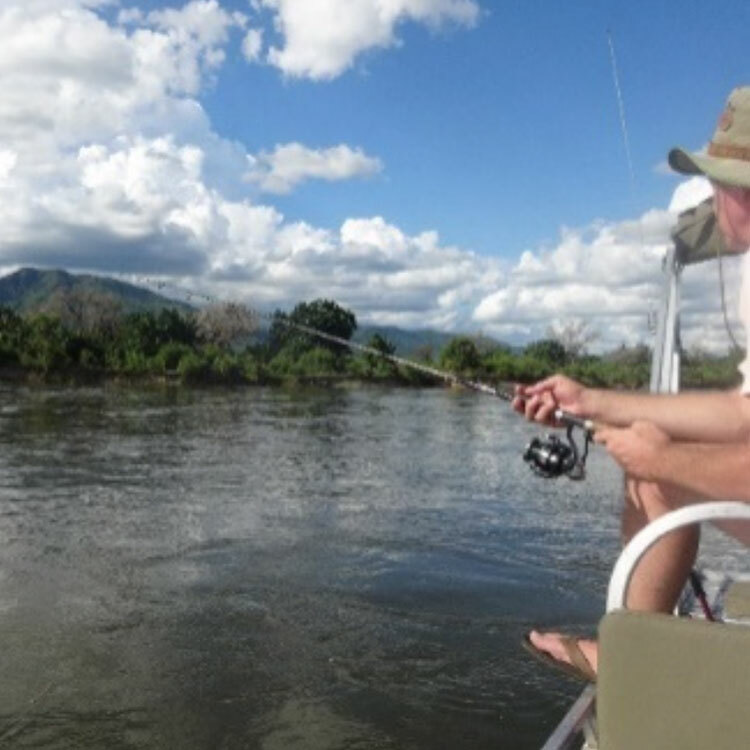 The river banks are also home to big game and many bird species, the wildlife viewing complimenting your fishing excursions. Don’t be surprised to see Hippo breaching just meters away from your boat, herds of Elephant crossing from island to island ahead of you, and majestic Lions enjoying a refreshing drink after a day lounging in the hot African sun…. 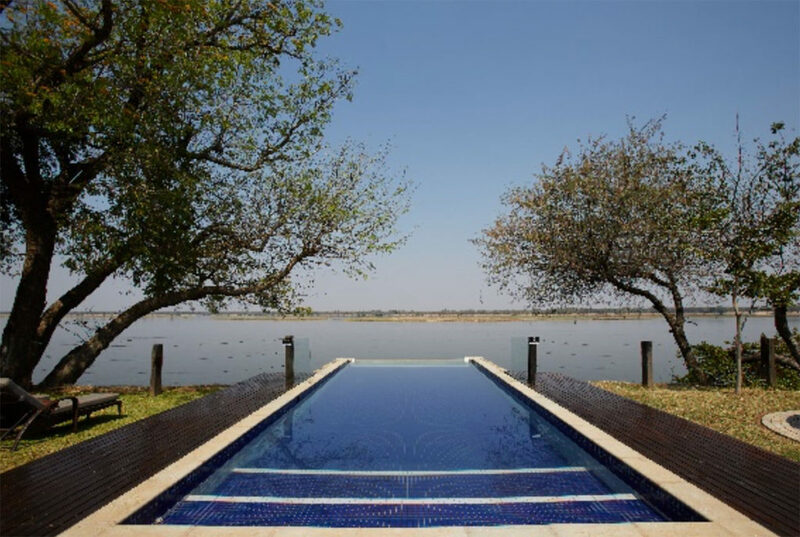 Unwind in the comfort of our Luxury Rooms, tucked away in the unspoiled wonders of the Zambian wilderness. 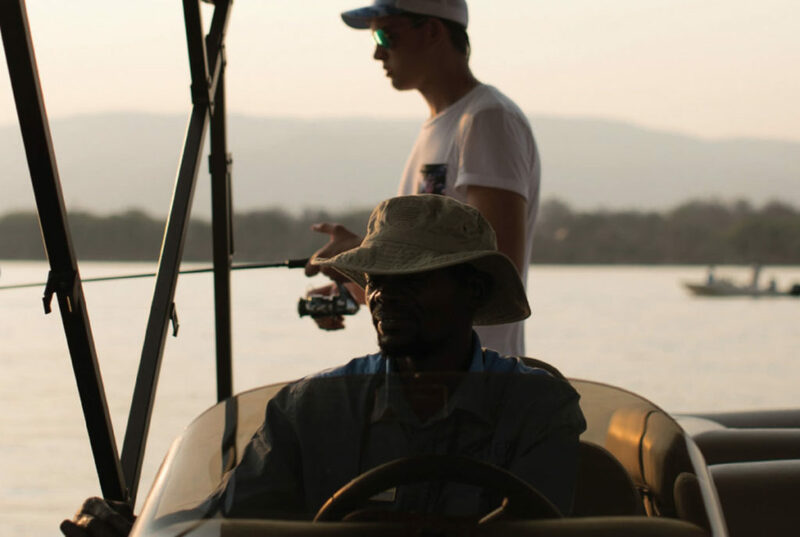 Enjoy spectacular views as you overlook the great Zambezi River whilst the warm, inviting interiors offer a tranquil haven after a day of fishing. 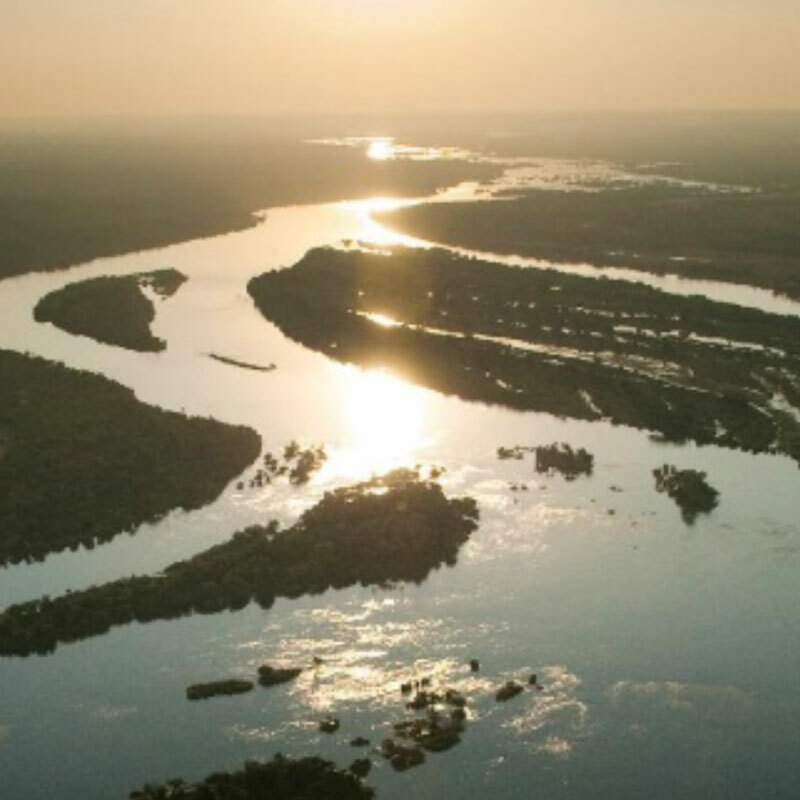 Zambezi Grande Private Game Experience neighbours the Lower Zambezi National Park, a bountiful 4,092 square kilometres of rich birdlife, indigenous flora and untamed wildlife. 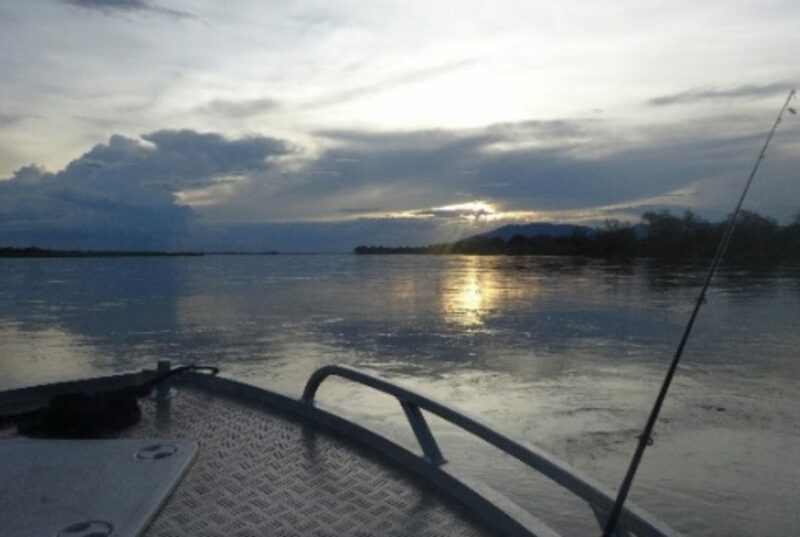 Charter flights to the Lower Zambezi are included in the above package. 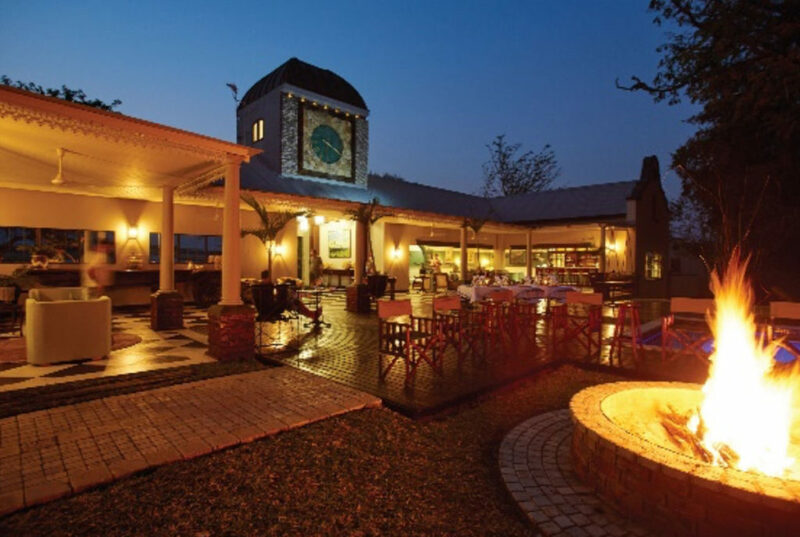 Guests must arrange their own travel to / from Lusaka. The Kenneth Kaunda International Airport (LUN) is the main point of entry / exit for flights in Zambia.